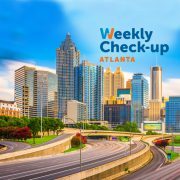 A native of Atlanta, Georgia, Dr. Bert Chen of Georgia Urology obtained his undergraduate degree from Yale University. He earned his medical degree at Medical College of Georgia where he was elected to Alpha Omega Alpha, the national medical school honor society. He completed his general surgery internship and urology residency at the University of Michigan. He has published and presented research in the field of urologic oncology, including prostate cancer and surgical techniques. He has experience in laparoscopy and minimally invasive techniques for the treatment of benign and malignant urologic disease. Dr. Chen’s hospital affiliations include DeKalb Medical Center, Rockdale Medical Center, and Newton Medical Center. His areas of interests in addition to general urology include, robotic surgery, stone disease, female urology, and urologic oncology. 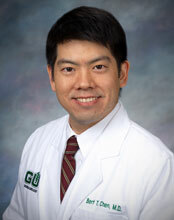 Dr. Chen is a diplomate of the American Board of Urology and a member of the American Urological Association.